All-new Altima sets new standard for Nissan sedan design – offering ProPILOT Assist1 technology, two new engines and first available Intelligent All-Wheel Drive in a Nissan sedan in the U.S.
"The new Altima follows the new Nissan LEAF in embodying the vision of Nissan Intelligent Mobility, making our cars more desirable by re-defining how they're driven, powered and integrated into society," said Denis Le Vot, senior vice president, chairman of Management Committee, Nissan North America, Inc. 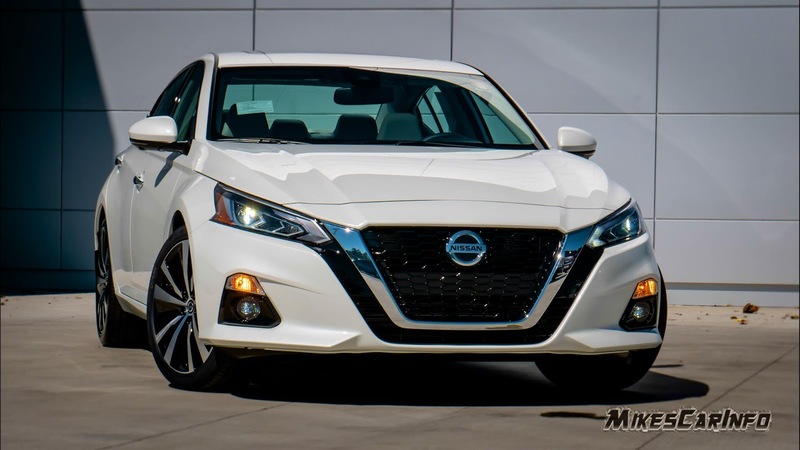 The 2019 Altima will be available in five grade levels, along with a limited-production launch edition, when it goes on sale at Nissan dealers in the United States in fall 2018. The all-new Altima will also be available in an expanded number of global markets in the coming years. "Our goal with the all-new Altima is to re-energize the sedan segment – in terms of design, driving feel and in making advanced technologies available and affordable for everyone," added Le Vot. "We want to energize drivers, helping make their lives safer, less stressful and more exciting." When it comes to enhancing driving enjoyment, the 2019 Altima stands alone with Nissan's advanced ProPILOT Assist. Unique in the class, ProPILOT Assist1 eases driver workload by reducing the amount of driver acceleration, steering and braking input under certain driving conditions, such as single-lane highway driving. ProPILOT Assist is designed to be more intuitive and user-friendly compared with other driver-assist technologies. It can potentially help lessen driver fatigue and create a more confident driving experience – especially for drivers who experience heavy highway traffic on a daily basis. "Adding ProPILOT Assist to the 2019 Altima continues our approach of making the most advanced technologies available to the widest number of potential buyers, rather than saving the best for the most exclusive models," added Le Vot. "This 'democratization' of advanced features also applies to Altima's many other available safety and driving assistance technologies." Along with ProPILOT Assist, also new for 2019 is Rear Automatic Braking (RAB)2, which helps detect large stationary objects when backing up, and if necessary applies the brakes to help avoid a collision. When an object is detected while driving the vehicle in reverse at low speed, the system warns the driver with visual and audible warnings. If the driver's braking is not sufficient and there is still a risk of a collision, the system issues second visual and audible warnings and applies harder braking immediately before the potential collision. The new Rear Automatic Braking system is standard on Altima SV, SL and Platinum grades. The range of safety and convenience features includes standard Automatic Emergency Braking (AEB), Intelligent Forward Collision Warning (I-FCW) and Intelligent Driver Alertness (I-DA)3 on all grades. Intelligent Around View Monitor (I-AVM) is standard on the Altima Platinum. The addition of Rear Automatic Braking creates Safety Shield 360, which helps provide front, side and rear safety monitoring and intervention technologies, under the umbrella of the Nissan Intelligent Mobility strategy. Safety Shield 360 includes Automatic Emergency Braking with Pedestrian Detection, Rear Automatic Braking, Lane Departure Warning (LDW), radar-based Blind Spot Warning (BSW), Rear Cross Traffic Alert (RCTA) and High Beam Assist (HBA). A new Traffic Sign Recognition system provides Altima drivers with the most recent speed limit information detected by a camera unit located on the windshield in front of the inside rearview mirror. The information from detected signs is displayed in the Advanced Drive Assist Display. In vehicles equipped with navigation, the speed limit display is based on a combination of navigation system data and camera recognition. In response to the desires of buyers in key northern U.S. market regions, Intelligent All-Wheel Drive will be offered for the first time ever on the Altima. The new AWD models are projected to account for a significant share of Altima U.S. sales in these regions. "When we look at how Altima is going to shake up the segment, all-wheel drive is a key element. Altima will be the only one to offer it of the top three best-selling midsize sedans," said Le Vot. "The lack of available all-wheel drive has also been a factor in buyers who prefer sedans switching to compact SUVs." The AWD system is available in all trim levels equipped with the 2.5-liter 4-cylinder engine. 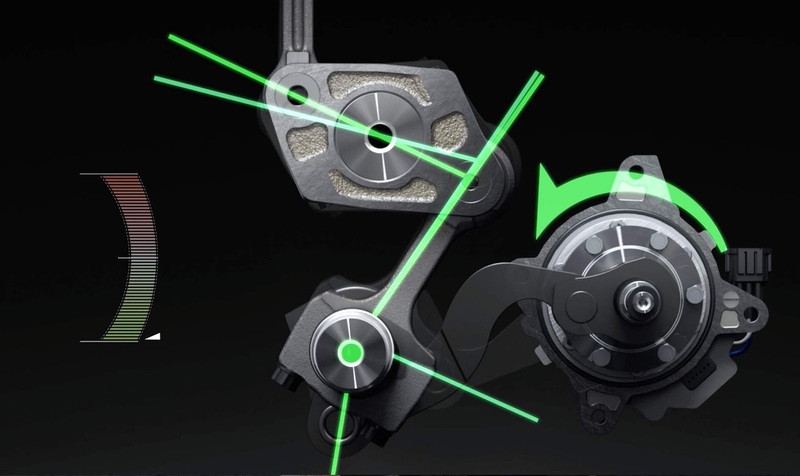 The system uses an advanced torque split control strategy that automatically redistributes torque to the wheels (0:100 front up to 50:50 front-to-rear) according to road and driving conditions. In addition, cooperative control between the AWD torque distribution, brake limited slip differential and Hill Start Assist optimizes performance on hills starts and rough roads – adding to the sense of confidence and driving pleasure under a range of driving scenarios. Replacing the previous-generation Altima's 3.5-liter V6 engine is the world's first production-ready variable compression turbo inline 4-cylinder – which generates the performance of some V6 gasoline engines but with 4-cylinder level fuel economy. 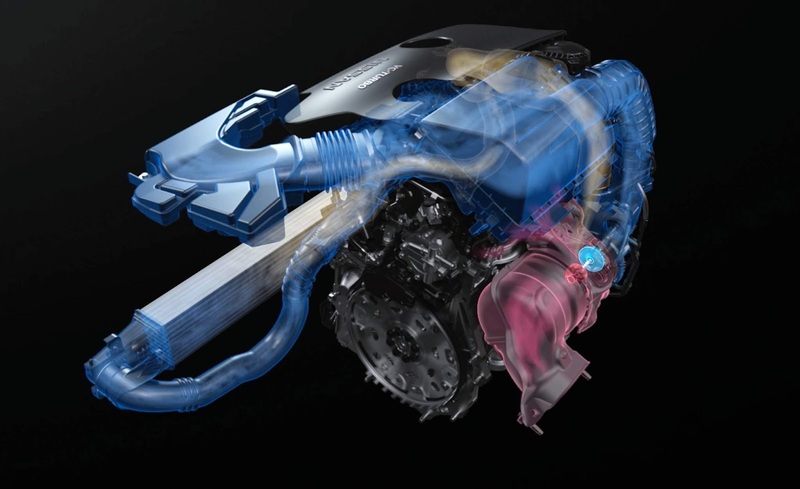 Designated as the VC-Turbo, the new technology continuously transforms the engine characteristics, providing both dynamic and efficient performance. The VC-Turbo recently launched as a world's first technology in the all-new INFINITI QX50 crossover. The VC-Turbo has been in development for 20 years. It seamlessly changes its compression ratio between 8:1 (for high performance) and 14:1 (for high efficiency) – with an advanced multi-link system continuously raising or lowering the pistons' reach to transform the compression ratio. A high compression ratio gives greater efficiency, but in certain applications poses the risk of premature combustion (knocking). A low compression ratio allows for greater power and torque, and avoids knocking. The multi-link components are manufactured in high-carbon steel alloy. Compared with the previous 3.5-liter V6 engine, the 2.0-liter VC-Turbo requires less space in the engine bay. The engine delivers 248 horsepower and 280 lb-ft of torque (premium fuel). The VC-Turbo engine utilizes both multi-point injection and direct injection to balance efficiency and power in all conditions. The Direct Injection Gasoline (DIG™) system improves combustion efficiency and performance, and enables the engine to avoid knocking at higher compression ratios, while the multi-point injection mixes fuel and air earlier, enabling complete combustion in the chamber for greater efficiency at low engine loads. The engine also contributes to lower NVH and improved emissions (versus the previous 3.5-liter V6). The VC-Turbo engine is assembled in Japan. Altimas equipped with the VC-Turbo (SR VC-Turbo and Platinum VC-Turbo grades) include a meter in the standard 7.0-inch Advanced Drive Assist Display so the driver can see, as well as feel, the control state of this world-first technology while driving. In terms of fuel economy4 (based on regular fuel), the new 2.0-liter VC-Turbo engine is rated at 25 mpg city, 34 mpg highway and 29 mpg combined, while maintaining performance similar to the V6. This represents a 15% increase over the 3.5-liter V6 (combined fuel economy). "With the VC-Turbo, the driver balances the engine character through acceleration pedal operation alone. This 'two engines in one' is another way Altima stands far apart from all other vehicles in the segment," said Le Vot. Reflecting the Altima's importance to the Nissan brand, the company is also making its biggest investment ever in a new model powertrain development – introducing for the first time two completely new engines for one model change. Standard on all grade levels is the new 2.5-liter DOHC inline 4-cylinder direct injection engine, which is rated at 188 horsepower (versus the previous 2.5-liter's 179 hp) and 180 lb-ft of torque (versus the previous 177 lb-ft) and features 80% new or redesigned parts. More than just the gains in horsepower and torque, the new engine offers improvements in noise, vibration and harshness, along with enhanced fuel economy and cleaner emissions. It also has a lower profile through adoption of a "reverse" cylinder head with integrated exhaust manifold and low engine mounting into the new platform's engine bay for quieter operation. "The ride and handling component of the new 2.5-liter engine is equally important. Basically, we got more power out of it, then made it smoother, then shrank it, then turned the cylinder head 180 degrees, then tilted it back – all to get the car lower and wider for both styling and handling and NVH," added Le Vot. Key changes to the engine's design include a thermal-insulated intake port, Direct Injection Gasoline (DIG™) system, variable tumble control valve, mirror bore cylinder coating, variable displacement oil pump, intake e-VTC and cooled external EGR. The new 2.5-liter engine is assembled in Decherd, Tennessee. "The development of the new 2.5-liter engine started with reviewing the basic specifications one by one, such as the combustion chamber design. The result is an enhanced combination of high output and low fuel consumption versus the previous engine – with the bonus of improved NVH and front-end styling flexibility," said Le Vot. Fuel economy4 (based on regular fuel) for the new 2.5-liter engine is rated at 28 mpg city, 39 mpg highway and 32 mpg combined for front-wheel drive S, SV and SL models and 27 mpg city, 37 mpg highway and 31 mpg combined for front-wheel drive SR and Platinum models. Fuel economy4 for Altima 2.5-liter AWD models is rated at 26 mpg city, 36 mpg highway and 30 mpg combined for front-wheel drive S, SV and SL models and 25 mpg city, 35 mpg highway and 29 mpg combined for front-wheel drive SR and Platinum models. 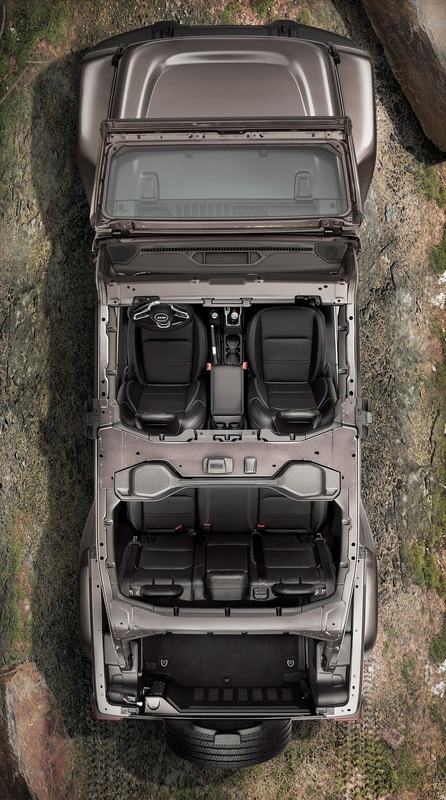 All 2019 Altima models, including both engine configurations, come equipped with a standard Xtronic transmission. For 2019, the Xtronic transmission receives an expanded lock-up area for improved efficiency. Paddle shifters are available with the Altima SR grade. Along with the all-weather traction offered by the new all-wheel drive system, all 2019 Altimas benefit from a range of enhanced suspension, steering and chassis control systems. Key suspension changes include the first Altima application of monotube rear shocks, added suspension reinforcements to improve vehicle response without impacting harshness, and suspension geometry adjustments to improve steering feedback. The steering system has been upgraded to a new dual-pinion electric power steering design (DP-EPS), which enhances steering feel performance and reduces steering system noise. Steering effort is reduced at low speeds for ease of driving, and effort is increased at higher speeds for improved feedback and control. The 2019 Altima includes a new, advanced Integrated Dynamics Module (IDM). It includes three unique systems – Intelligent Ride Control, Intelligent Trace Control and Vehicle Dynamics Control – similar to those found on the flagship Nissan Maxima sedan. "The goal in the chassis development is to provide a more comfortable, controlled and confident driving experience – not just for the higher grades but for every 2019 Altima," said Le Vot. "Between the engine improvements, isolation of noise and vibrations, tighter suspension and increased seat support, Altima absolutely feels like a class above." "Altima has been the face of Nissan in the United States, its largest market, for many years. We knew we had to elevate the appearance of the new-generation Altima, so the Vmotion 2.0 gave us the blueprint moving forward with the production model," said Alfonso Albaisa, senior vice president, global design, Nissan Motor Co., Ltd. Compared with the previous generation, the new Altima is 1.1 inches lower in height, 1.0 inches longer in length and 0.9 inches wider – while also featuring a smaller front overhang thanks a 1.9-inch longer wheelbase and the rear wheels being pushed farther to the corners. The result is a dramatically sleeker yet more sophisticated look. The coefficient of drag is just 0.26. "Through clever packaging, we were able to push the hood and cowl downward, while also adding larger available 19-inch wheels and tires that really help the vehicle's stance," said Albaisa. "This allowed us to give it a more linear, tailored feel that's emphasized by the sharp horizontal lines and signature Nissan design cues such as the V-motion grille and streamlined boomerang lights." Available exterior elements include the expressive V-motion grille with dark chrome finish, LED projector headlights with signature Daytime Running Lights, LED fog lights, floating roof with slim pillars and single panel moonroof. A range of nine available exterior colors –including a deep-tinted Scarlet Ember red that changes hue with the light, and a new vibrant Sunset Drift ChromaFlair® orange with unique reflective pigment – help bring out the exterior's sculptural details and highlights. The other exterior colors include (premium color), Brilliant Silver Metallic, Gun Metallic, Super Black, Pearl White TriCoat (premium color), Glacier White, Deep Blue Pearl and Storm Blue. Inside, the 2019 Altima interior offers a near-luxury feel in both design and materials – marked by the lightweight, layered and more horizontal "gliding wing" instrument panel and high-contrast colors and trim. "The new Altima interior has a real 'wow' factor when you open the doors – sending the message that this is not your typical sedan," added Albaisa. "The idea is to engage the driver and passengers both visually and tactilely." A range of premium interior colors and trim accents are available depending on grade level." The uplifting interior design also offers a high level of comfort and convenience amenities and connectivity features are offered – including standard 7.0-inch Advanced Drive Assist Display, enhanced NASA-inspired Zero Gravity seat design with dual-density foam and added bolstering for improved holding and support, available perforated leather-appointed seat inserts, remote engine start5 and new available 8-way driver's seat with memory. "The all-new Altima features the next generation of Nissan connectivity, combining seamless connectivity between home, work and the vehicle, an intuitive interface and over-the-air updates with automatic update notifications," said Le Vot. "And, of course, both Apple CarPlay™ and Android Auto™ come standard – which not every sedan in the segment even makes available." The new Altima's selection of audio and infotainment choices include a Bose® Premium Audio system with nine speakers, including a new digital amplifier with eight channels of custom equalization. Active Noise Cancellation is also available. In addition to standard Apple CarPlay™ and Android Auto™, every 2019 Altima also comes equipped with standard 8-inch multi-touch color display, Bluetooth® Hands-free Phone System, Streaming Audio via Bluetooth®, Hands-Free Text Messaging Assistant, and Siri® Eyes Free voice recognition. Available NissanConnect Services powered by SiriusXM® provides compatible smartphone and smartwatch access to features such as Remote Engine Start/Stop, Remote Door Lock/Unlock, Valet Alert, and more. Additionally, certain remote features are accessible through the NissanConnect Services Amazon Alexa Skill and Google Assistant Action. The 2019 Altima will be offered in a range of trim levels – S, SR, SV, SL and Platinum. All five come equipped with the standard 2.5-liter engine and are available with Intelligent All-Wheel Drive. 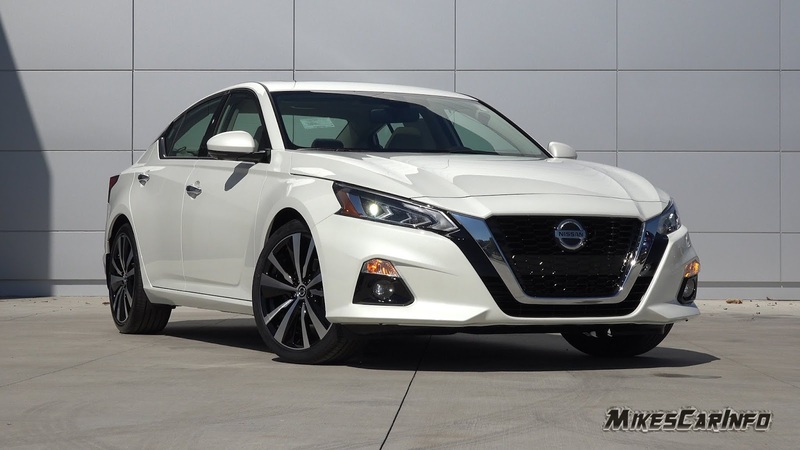 Altima S includes standard Automatic Emergency Braking, Intelligent Driver Alertness, Bluetooth® Hands-free Phone System, Rear View Monitor, NissanConnect with, Apple CarPlay™ and Android Auto™, 7-inch Advanced Drive Assist Display, Remote Engine Start, 12-volt DC power outlet, four front/rear USB charge ports (Type-A and Type-C), 8-way power driver's seat, 60/40 split-folding rear seat, Rear Door Alert and more. Altima SR grade models add 19-inch aluminum-alloy wheels, unique rear diffuser color, sport suspension (FWD only), sport interior with sport seat, paddle shifters, leather-appointed steering wheel, LED projector headlights, dark chrome grille, Blind Spot Warning (BSW), Rear Cross Traffic Alert (RCTA), exhaust finishers, black side mirror caps and body colored door handles. 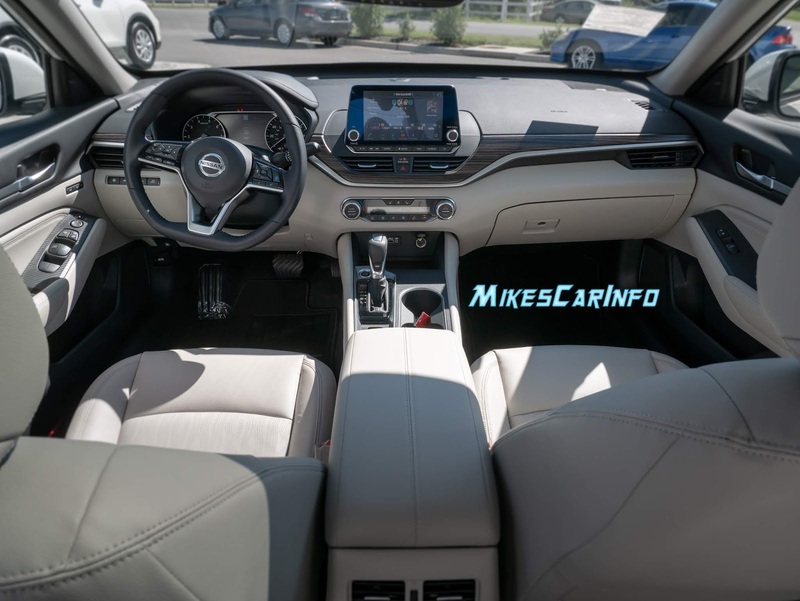 The 2019 Altima SV features moonroof, LED fog lights, 17-inch aluminum-alloy wheels, heated front seats and steering wheel, ProPILOT Assist, Lane Departure Warning (LDW), Rear Automatic Braking (RAB), heated outside mirrors with LED turn signals, 2-way power lumbar support, High Beam Assist (HBA), rear console HVAC vents and Dual Zone Auto Climate Control. 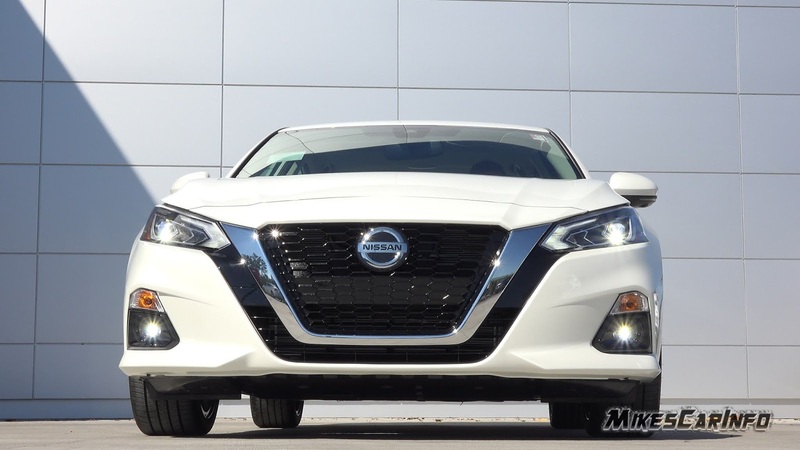 Additional features found on every Altima SL include Bose® Premium Sound System with nine speakers, NissanConnect with Navigation and Services, Traffic Sign Recognition, leather-appointed seats and 4-way power passenger seat. 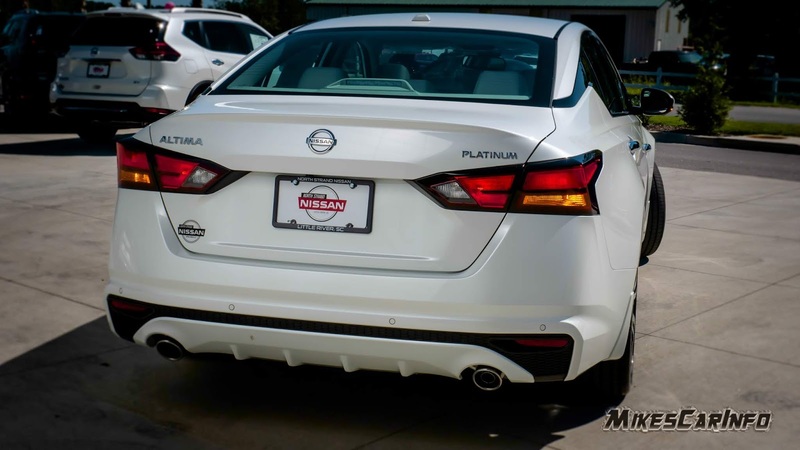 And, the fully equipped Altima Platinum includes 19-inch aluminum-alloy wheels, Intelligent Around View® Monitor (I-AVM), interior accent lighting, and driver memory seat. In addition, Altima SR and Platinum grades are available with the advanced 2.0-liter VC-Turbo engine (front-wheel drive only). And, an exclusive Altima Edition ONE is offered in limited quantities in the U.S. The Altima Edition ONE is offered in just three colors: Super Black, Scarlet Ember Tintcoat and White Pearl Tricoat. 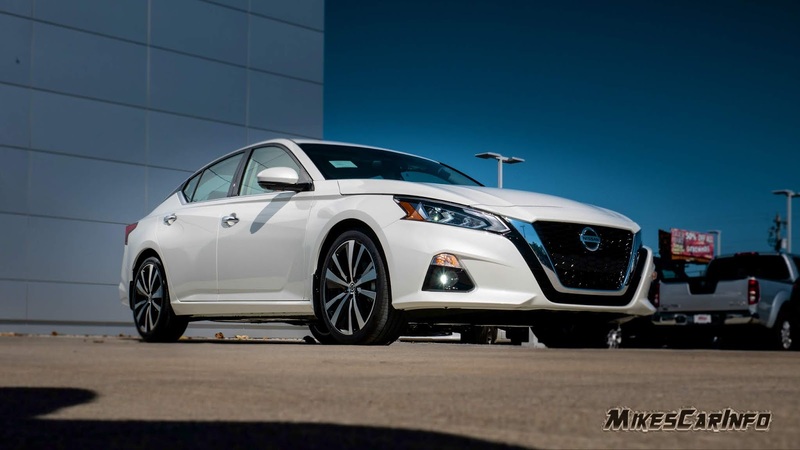 The 2019 Nissan Altima is about to shake up the midsize sedan market, elevating its competitiveness in the segment with features like available Intelligent All-Wheel Drive and exclusive Nissan Intelligent Mobility technologies such as the advanced ProPILOT Assist1. The new Altima also stands out with its lean, architectural styling and confidence-inspiring driving performance. ProPILOT Assist is a single-lane "hands-on" driving assistance technology that eases driver workload by reducing the amount of driver acceleration, steering and braking input under certain driving conditions, such as single-lane highway driving. ProPILOT Assist is standard on the 2019 Altima SV, SL and Platinum grades. Along with ProPILOT Assist, also new for 2019 is Rear Automatic Braking (RAB)2, which helps the driver detect stationary objects when backing up, and if necessary applies the brakes to help avoid a collision. And, a new Nissan-first Traffic Sign Recognition (TSR) system provides Altima drivers with the most recent speed limit information. The information is displayed in the standard 7.0-inch Advanced Drive Assist Display. The addition of Rear Automatic Braking creates Safety Shield 360, which provides front, side and rear safety monitoring and intervention technologies, under the umbrella of the Nissan Intelligent Mobility strategy. Safety Shield 360 includes Automatic Emergency Braking with Pedestrian Detection, Rear Automatic Braking, Lane Departure Warning (LDW), radar-based Blind Spot Warning (BSW), Rear Cross Traffic Alert (RCTA) and High Beam Assist (HBA). Replacing the previous-generation Altima's 3.5-liter V6 engine is the company's world's first production-ready variable compression turbo inline 4-cylinder and delivers near V6-level performance with 4-cylinder fuel economy. It recently launched as a world's first technology in the all-new INFINITI QX50 crossover. Called the VC-Turbo, the new technology continuously transforms the engine characteristics, providing both dynamic and efficient performance. Its fuel economy4 figures (based on regular fuel) of 25 mpg city, 34 mpg highway and 29 mpg combined, while maintaining performance similar to the V6, represent a 15% increase over the 3.5-liter V6 (combined fuel economy). The VC-Turbo seamlessly changes its compression ratio between 8:1 (for high performance) and 14:1 (for high efficiency) – with an advanced multi-link system continuously raising or lowering the pistons' reach to transform the compression ratio. Compared with the previous 3.5-liter V6 engine, the 2.0-liter VC-Turbo requires less space in the engine bay. The engine delivers 248 horsepower and 280 lb-ft of torque (premium fuel). The new engine is available on Altima SR and Platinum VC-Turbo front-wheel drive grades. Standard on all grade levels is a new 2.5-liter DOHC inline 4-cylinder direct injection engine, which is rated at 188 horsepower (versus the previous 2.5-liter's 179 hp) and 180 lb-ft of torque (versus the previous 177 lb-ft). More than just the gains in horsepower and torque, the new engine offers improvements in noise, vibration and harshness, along with cleaner emissions and enhanced fuel economy. Fuel economy4 (based on regular fuel) is rated at 28 mpg city, 39 mpg highway and 32 mpg combined for front-wheel drive S, SV and SL models and 27 mpg city, 37 mpg highway and 31 mpg combined for front-wheel drive SR and Platinum models. Fuel economy4 (based on regular fuel) for Altima 2.5-liter AWD models is rated at 26 mpg city, 36 mpg highway and 30 mpg combined for front-wheel drive S, SV and SL models and 25 mpg city, 35 mpg highway and 29 mpg combined for front-wheel drive SR and Platinum models. The engine also has a lower profile through the adoption of a "reverse" cylinder head with integrated exhaust manifold and low engine mounting into the new platform's engine bay for quieter operation. The 2019 Altima also offers available Intelligent All-Wheel Drive for the first time ever on a Nissan sedan in the U.S. The AWD system is available on all trim levels equipped with the 2.5-liter 4-cylinder engine. The system uses an advanced torque split control strategy that automatically redistributes torque to the wheels (from 0:100 front up to 50:50 front-to-rear) according to road and driving conditions. 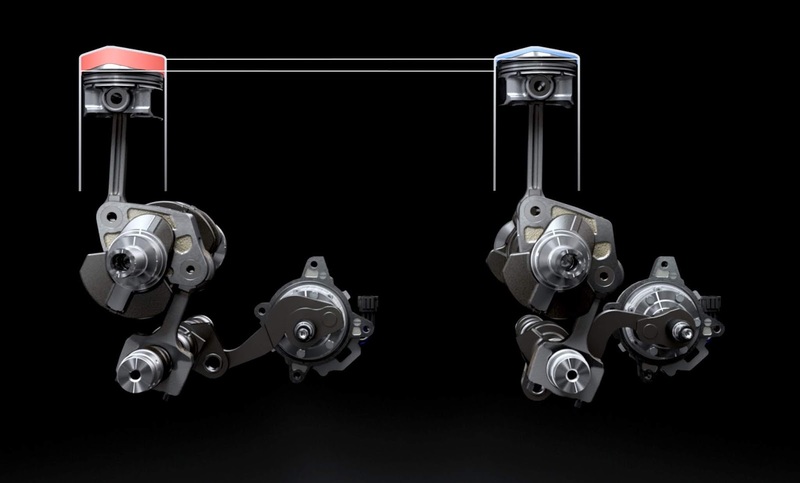 Along with the all-weather traction offered by the new Intelligent All-Wheel Drive system, all 2019 Altimas benefit from a range of enhanced suspension, steering and chassis control systems. 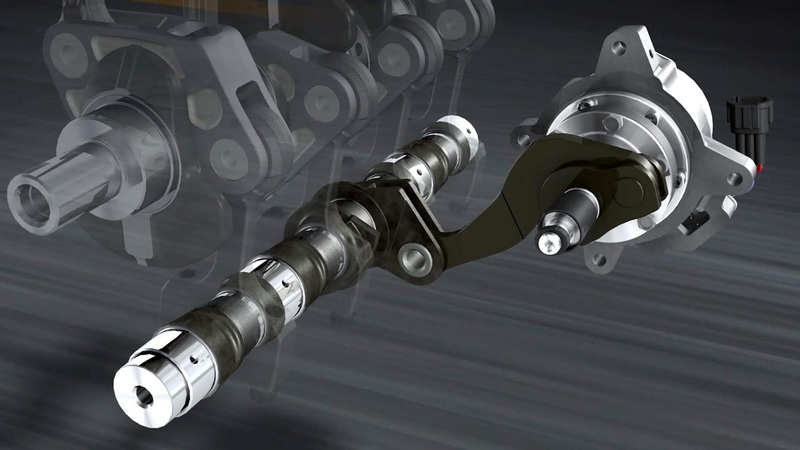 Key suspension changes include the first Altima application of monotube rear shocks, added suspension reinforcements to improve vehicle response without impacting harshness and suspension geometry adjustments to improve steering feedback. The steering system has been upgraded to a new dual-pinion electric power steering design (DP-EPS). Three wheel and tire size combinations are available – 16-inch, 17-inch and, for the first time, 19-inch. The Altima SR grade, as in the previous-generation Altima, features unique suspension (FWD only) and chassis tuning for a sportier ride and handling feel. Key interior comfort and convenience features range from standard power driver's seat with added bolstering for improved holding and support, to a selection of audio and infotainment choices, including a Bose® Premium Audio system with nine speakers, and a new digital amplifier with eight channels of custom equalization. Active Noise Cancellation is also available with select models, paired with the Bose® audio system. Also available is standard remote engine start5. The NissanConnect® system includes a number of new features – over-the-air updates, available Nissan Door to Door Navigation with real-time Premium Traffic updates and a Bluetooth® Device Manager with easy customization features. In addition to standard Apple CarPlay™ and Android Auto™, every 2019 Altima also comes equipped with standard Bluetooth® Hands-free Phone System, Streaming Audio via Bluetooth®, Hands-Free Text Messaging Assistant, and Siri® Eyes Free voice recognition. Available NissanConnect Services powered by SiriusXM® provides compatible smartphone and smartwatch access to features such as Remote Engine Start/Stop, Remote Door Lock/Unlock, Valet Alert, and more. Additionally, certain remote features are accessible through the NissanConnect Services Amazon Alexa Skill and Google Assistant Action. The 2019 Altima is offered in a range of trim levels – S, SR, SV, SL and Platinum. All five come equipped with the standard 2.5-liter engine and are available with Intelligent All-Wheel Drive. In addition, the Altima SR and Platinum grades are available with the advanced 2.0-liter VC-Turbo engine (front-wheel drive only). An exclusive Altima Edition ONE launch edition, based on the Platinum VC-Turbo, is offered in limited numbers (U.S. market only). It comes complete with a first-ever Nissan Concierge service. Floating roof design to accentuate the spacious, airy cabin. (1) = Manufacturer's Suggested List Price: Dealer sets actual price. Prices and specifications are subject to change without notice. Excludes tax, title, license, and destination charges. Destinationand handling $895. 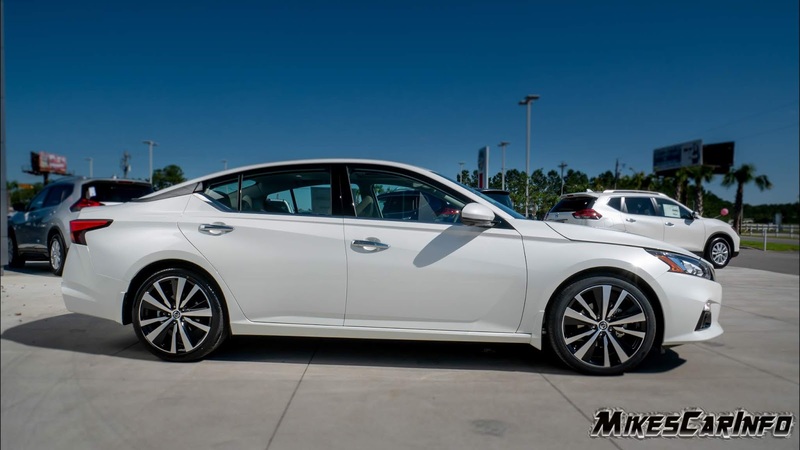 The all-new Altima is bringing excitement back to the mid-size sedan segment with expressive styling, an uplifting interior, two new powerplants, the first available Intelligent All-Wheel Drive in a Nissan sedan in the U.S. and advanced Nissan Intelligent Mobility features, including ProPILOT Assist. The new Altima builds on 25 years and more than 5.6 million Altima sales to date. It follows the 2018 LEAF in embodying the vision of Nissan Intelligent Mobility, including ProPILOT Assist, which is standard on the 2019 Altima SV, SL and Platinum grades. Also new for 2019 is Rear Automatic Braking, which helps the driver detect stationary objects when backing up, and if necessary applies the brakes to help avoid a collision. The 2019 Altima also offers available Intelligent All-Wheel Drive for the first time ever on an Altima. The AWD system is available on all trim levels equipped with the 2.5-liter 4-cylinder engine. Available Automatic Emergency Braking with Pedestrian Detection, Rear Automatic Braking, Lane Departure Warning (LDW), radar-based Blind Spot Warning (BSW), Rear Cross Traffic Alert (RCTA) and High Beam Assist (HBA). One of the best blogs that I have read till now. Thanks for your contribution to sharing such useful information. Waiting for your further updates.